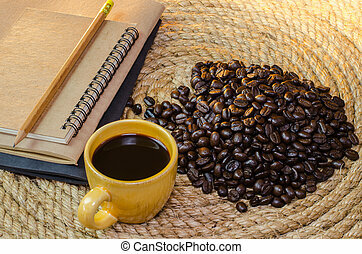 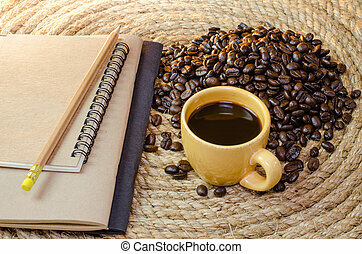 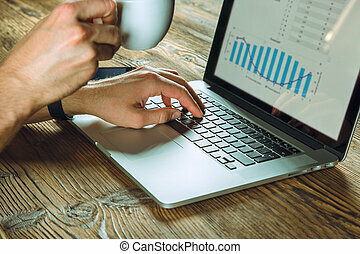 Man working on notebook, with a fresh cup of coffee. 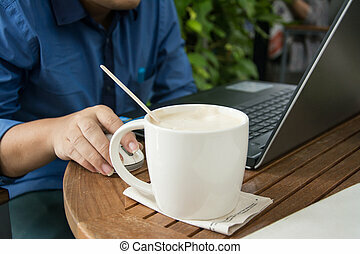 Man working on notebook, with a fresh cup of tea or coffee. 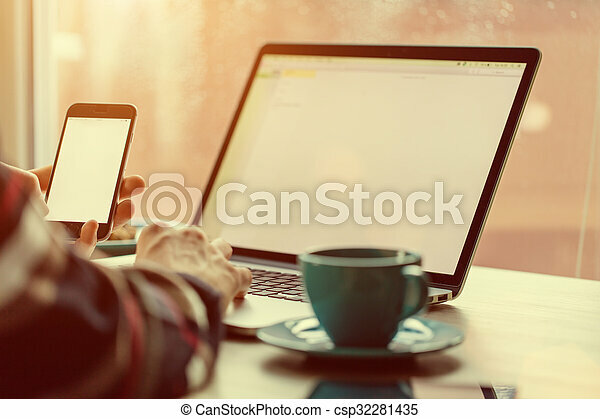 home work concept. 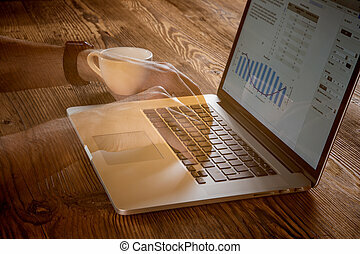 Man Working On Notebook, With A Fresh Cup Of Coffee. 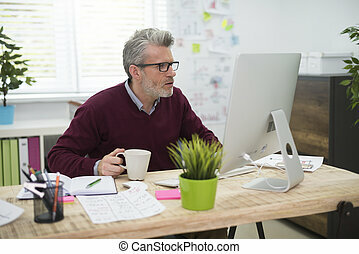 Man working on notebook, with a fresh cup of tea or coffee. 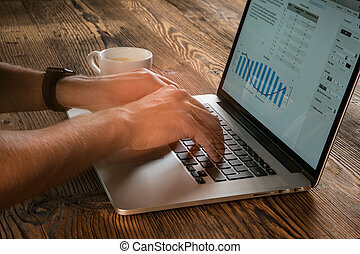 Home work concept. 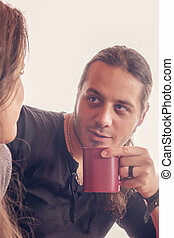 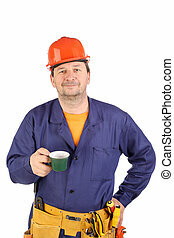 Working man with cup of coffee. 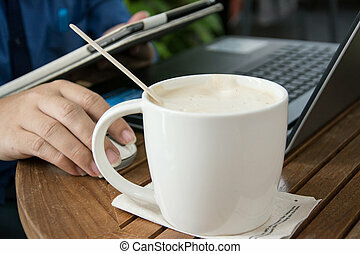 Isolated on a white backgropund. 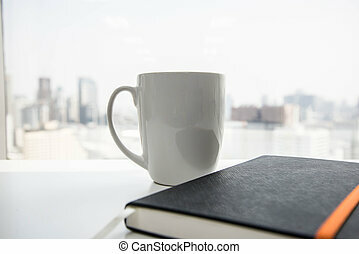 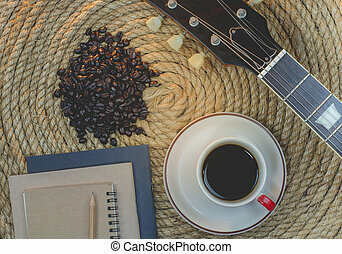 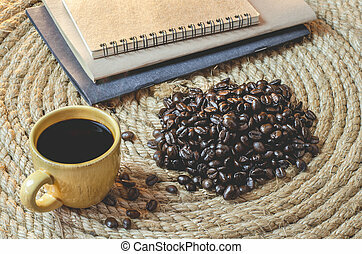 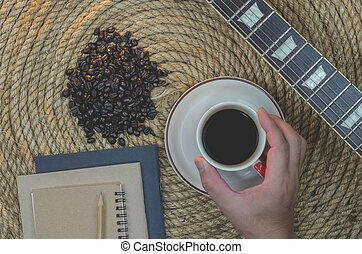 Cup of coffee with notebook on a jute rope. 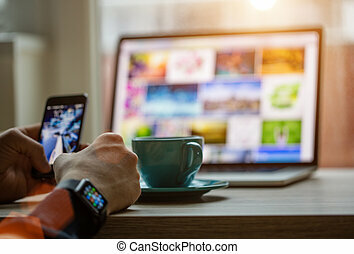 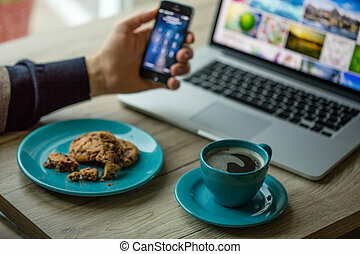 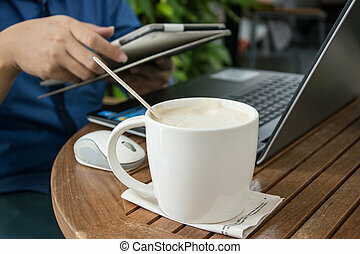 Man working on notebook, with a fresh cup of tea or coffee and cell phone. 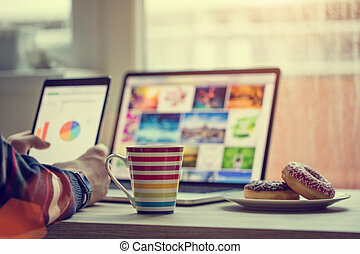 Home work concept. 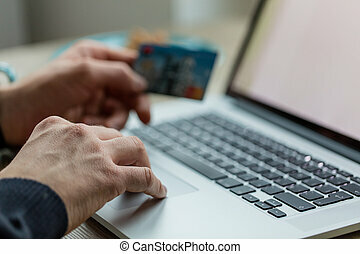 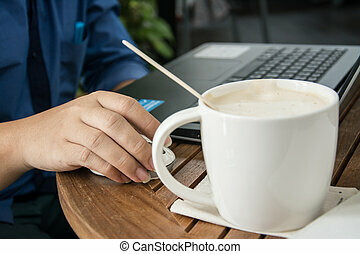 Man working on notebook with credit card and fresh cup of tea or coffee. 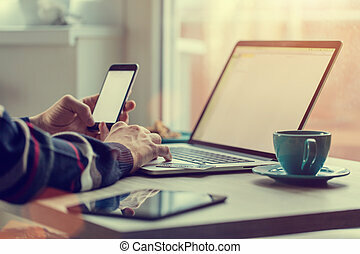 Home work concept. 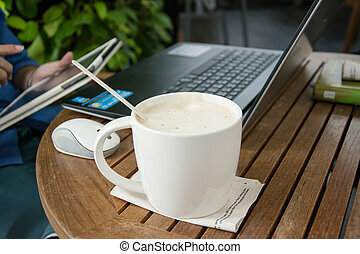 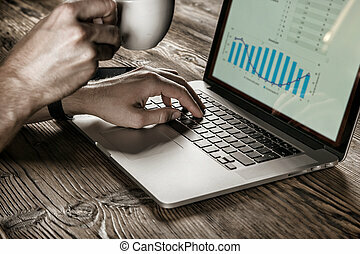 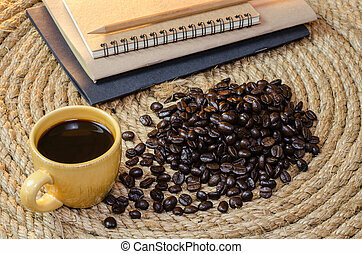 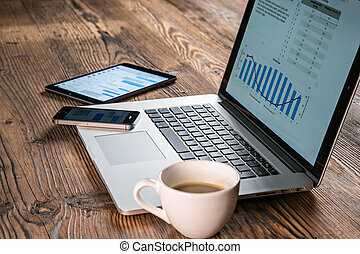 Laptop on wooden table with cup of coffee.